I recently had the pleasure of doing a "day after" session with lovely newlyweds, Erin and Mario. This charming couple said their vows at their local courthouse and met me at Malibu Creek State Park dressed in their finest, to capture some of that post-wedding glow. Personally, I love day after sessions; the deed is done, the stress is over with, and there is plenty of honeymoon bliss for me to capture. Like many couples in the digital age, Erin and Mario met online. On their first date Mario wooed Erin with a romantic steakhouse dinner. 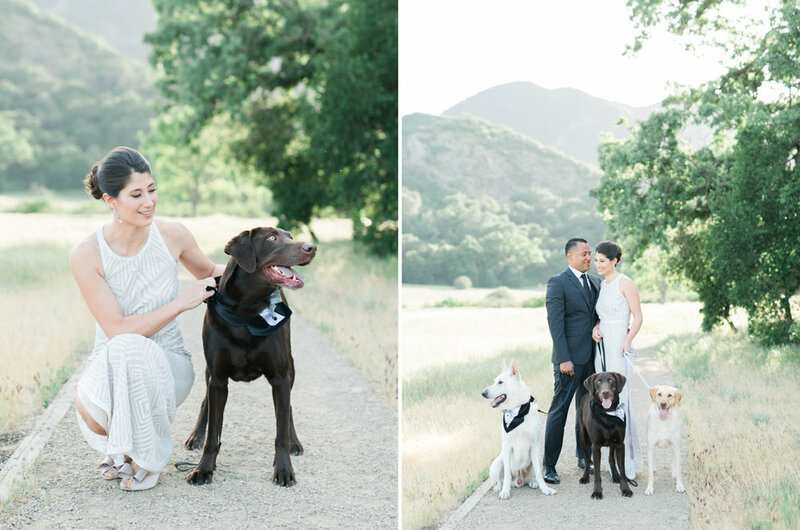 Both newlyweds were born and raised in L.A; they are both self-proclaimed foodies and share a deep love for dogs. They even brought their three furry friends to the shoot, which I thought was a sweet and sentimental touch. Malibu Creek State Park was a perfect backdrop as usual. 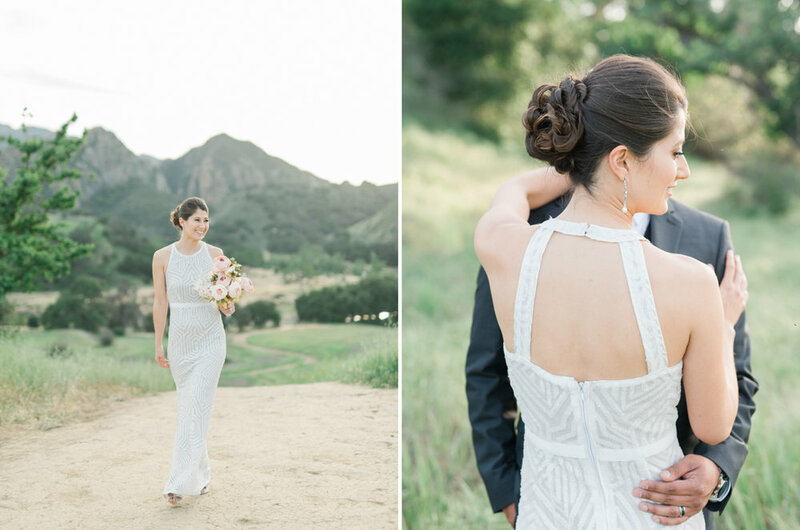 Erin and Mario matched each other perfectly, they were both elegant, and a joy to capture. I would like to send the happy couple my warmest wishes on their new journey. Congratulations, Mario and Erin!